Game of Thrones Statues Arrive June 2017 – AiPT! Dark Horse and HBO Global Licensing are introducing new looks for some familiar characters in their bestselling line of Game of Thrones figures. The new figures will be released in June 2017, coinciding with the Season 7 premiere of the award-winning show this summer. To date, Dark Horse and HBO have released twenty-seven Game of Thrones figures. The new Game of Thrones figures feature fan-favorite characters in detailed interpretations with new sculpts and updated deluxe packaging. 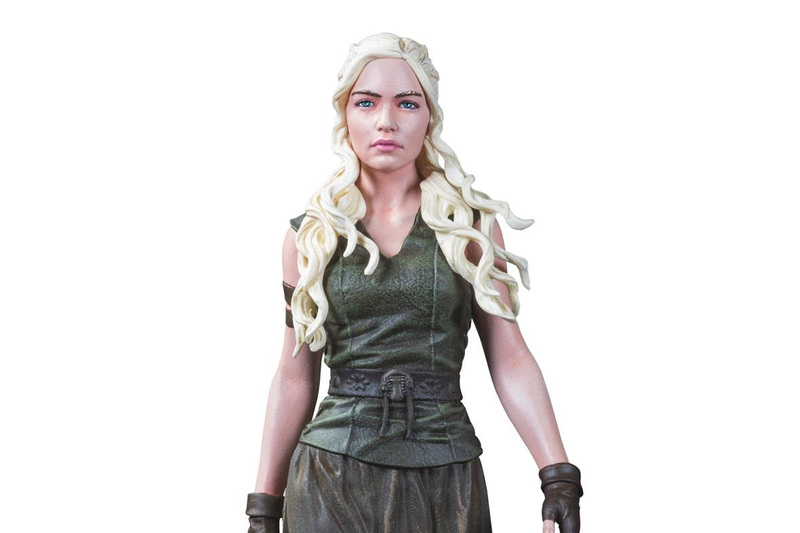 Dark Horse revealed the opening figures, Daenerys Targaryen and Melisandre, at the American International Toy Fair earlier today. A previous Daenerys figure, featuring “The Mother of Dragons” alongside her soon-to-be-hatched dragon eggs, was among the first figures released in Dark Horse’s line of Game of Thrones figures. Dark Horse will also reveal fresh sculpts of previously released character figures for Tyrion Lannister, Jon Snow, and Arya Stark at a later date. In Game of Thrones, Daenerys Targaryen is on a quest to take back the Iron Throne her family once occupied. She is a formidable foe, merciless in her vengeance and accompanied by her beloved dragons. The new figure exemplifies her fierce spirit and portrays her in her warrior costume with her striking platinum hair. Melisandre, the Red Priestess of Asshai, uses her arcane powers to influence events throughout the Game of Thrones story. Dark Horse captures her ageless beauty and fiery personality in her hallmark red attire.